It is time allow the Witch within to comeforth!!!! The National Coalition Against Domestic Violence (NCADV), in conjunction with Ms. Magazine, started the Remember My Name project in 1994 to create a national registry of names of those who have lost their lives to domestic violence. Since then, NCADV has continued to collect information on incidents of people who have been killed by an intimate partner and produces a poster each year for Domestic Violence Awareness Month listing the names of those submitted to the project. To date, over 7,753 people* have been memorialized through the project. Names continue to be added daily. We ask you to take a moment to remember those we have lost to this senseless crime. You need to be a member of WADV-Witches Against Domestic Violence to add comments! It has been awhile since I have been active on Pagan space. I am now back in the groove. A lot has happened in my journey. I am now blogging my story here if you want to read and share. The battle inside and out can be won. BE YOUR OWN HERO!!! Hello, I am a survivor. I am presently building my own life for I and my kids. I am starting a business and working with a lot of people to stay safe and to try to put my ex in prison. There has been a lot of healing and growing. I am an artist and author. Gifts I am now free to exercise. Some of my work I do is designed to help encourage victims as they try to live again. I am hear to say I pray and meditate for women who are in and out of their situations. It is a very hard place to be. I am sharing my story and making others aware. You are not as alone as you feel. 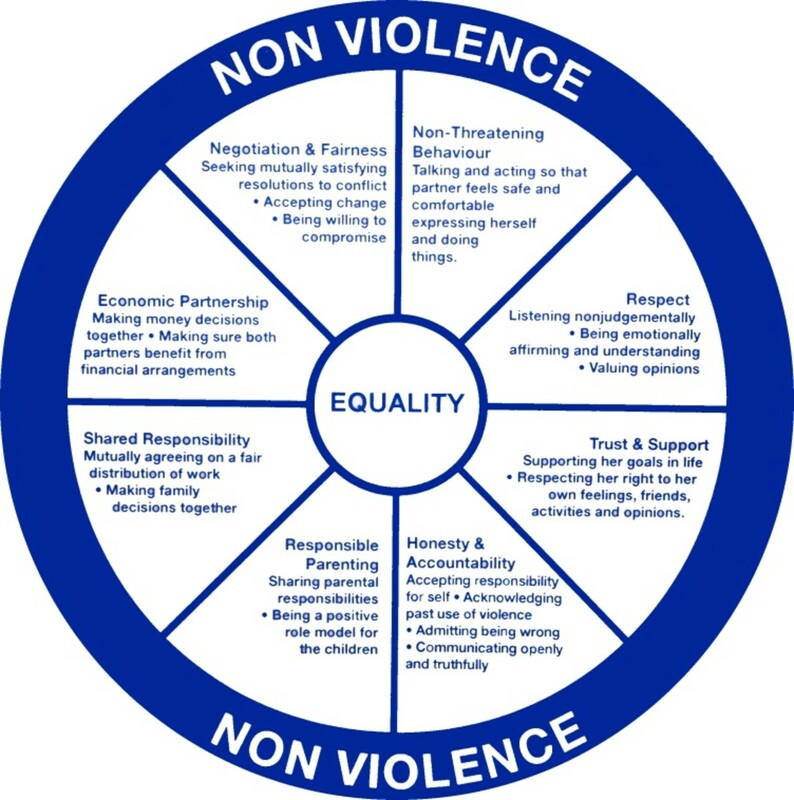 Just stopping by to see how everyone is doing as this is a time of year when Domestic Violence seems to escalate even more then normal. If anyone needs or wants to talk, I am only a post away. I wish everyone a Peaceful, joyous, healthy, Loving, and Prosperous New Year and the years to come. Happy Yule, Merry Christmas, whatever holiday you celebrate. Remember, you are never alone and it takes more courage to stand up and reach out then to stay in the abusive relationship, and there are many resources out there that can and will help you and your children. It's not an easy transition to make the decision to leave, but once yu are free from the abuser and the chaos of the situation, it does get easier. Just wanted to stop by and say I hope everyone is doing ok. Me, I'm in the middle of packing up the condo to finally move next month around the 15th. I started packing yesterday and only got the two bookcases packed and already have 5 boxes full. I'm going to pack up the glassware for the bar next with all the booze and wine bottles. Have to go to the Liquor store and get some empty, partitioned boxes for that though. And we are headed back up to the new house tomorrow to meet with a couple vendors, one to clean out the dryer vent so I don't start a fire the first time I try to do laundry. LOL And then we are meeting with the electrician who is not only fixing some of the switches but also putting in some recessed lighting in the kitchen and some lights in a few of the closets. I am really excited but am also overwhelmed because all the packing is up to me with no outside help from the hubby or anyone else. Finding out I am not as young as I thought I was. Plus i have a kidney infection and my back is still out of whack. I truly hope that everyone here is doing well and if not I will use checking in daily to give me an excuse to take a break from alll the packing. So if anyone wants to talk or needs to talk, I will be here, or you can email me. If anybody out there can give me any ideas on how to get out of an emotionally abusive relationship.Please let me know! I need to know how to prove it. And I live on land owned by my in laws. I want to leave with my little girl. But I'm afaid it will be his whole family against me. Please help! So sorry I haven't been around more. I miss you all very much. I've just been so busy with the two houses and trying to get ready fir the final move which looks like it may be the end of July, right now. But then things tend to change from day to day. Been in excruciating pain with my back and waiting over a month to get into the pain clinic, which will be next Monday, thank the Giddess. We are going on a weeks vacation with the kids and grandiose so hoping the doc gives me something so I can at least enjoy the week at the beach with everyone. Am in such pain now for so long, all I want to do is cry and I'm nasty as hell. I truly hope you all are leaning on each other for strength when you need it and also talking about what hurts and troubles you as it does help. Even though I haven't been around, you are all in my thoughts and prayers and can contact me any time and I promise I'll answer you ASAP. Peace, Strength, love, and Kindness to each of you and remember to be especially nice to yourselves. I get so rired of being told how worthless I am.